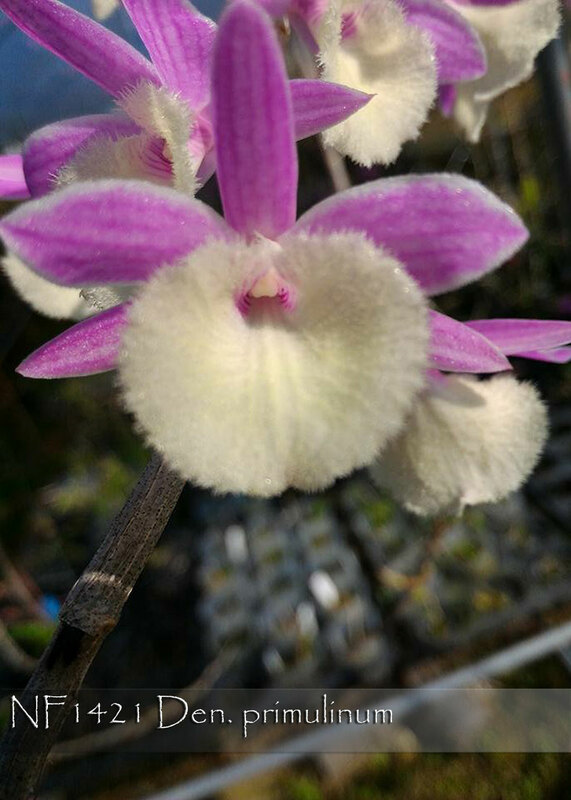 Fragrant and decidous, caned species from India. The plants need a dry rest after the leaves fall in autumn. A well drained pot and a rich media, especially if repotted in spring, will produce a robust stem that produces it flowers in pairs along the stem in spring. Use lots of water and fertiliser with the new growth, a good sunny position and an intermediate climate. 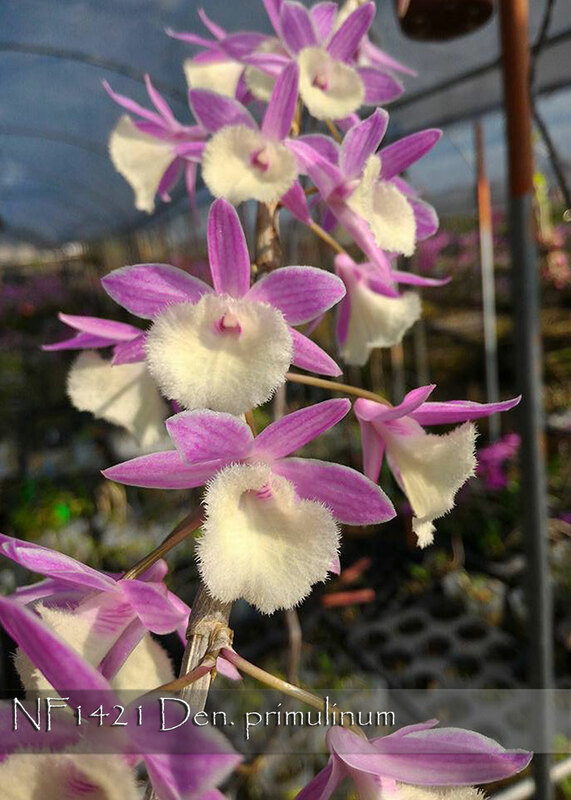 Dendrobium primulinum grows much like Dendrobium anosum, and this deciduous type of Dendrobium can be grown in the orchid house in almost any climate, provided the plants are dry..